A proven process for reaching out to journalists, building lasting relationships and getting press. I want to share my personal story with you. Ten years ago, I was a nobody. An office drone nobody. And I had the classic symptoms to show for it: I was overweight, stressed and depressed. I had zero industry connections. The only people I was on first name basis was employees of takeout restaurants. I created a tidal wave of publicity for a startup called Polar and it grew from 0 to 40M views per month and got acquired by Google. I helped over 100+ startups achieve the same results. I grew my own startup JustReachOut from 0 to 2000+ paying customers in only 8 months. I grew my own blog to $100,000+ revenue in 9 months. A lot of people think that building connections and turning those connections into long-term relationships is something you’re either good at or not. But then why is How to Win Friends and Influence People one of the bestselling books of all time? Building connections is a process of proven steps. You can start from nothing. Learn the best ways to do it. Then practice it until you get the hang of it. Or I wouldn’t have gone from being a nobody awkward Soviet emigre to working with Noah Kagan and Gary Vaynerchuk. And yes you can diligently build your backlinks. Yes you can build a killer product. Yes you can capture emails. Feature you on their website. I was a Soviet emigre who was introverted, couldn't speak proper english and didn't like to talk to people. 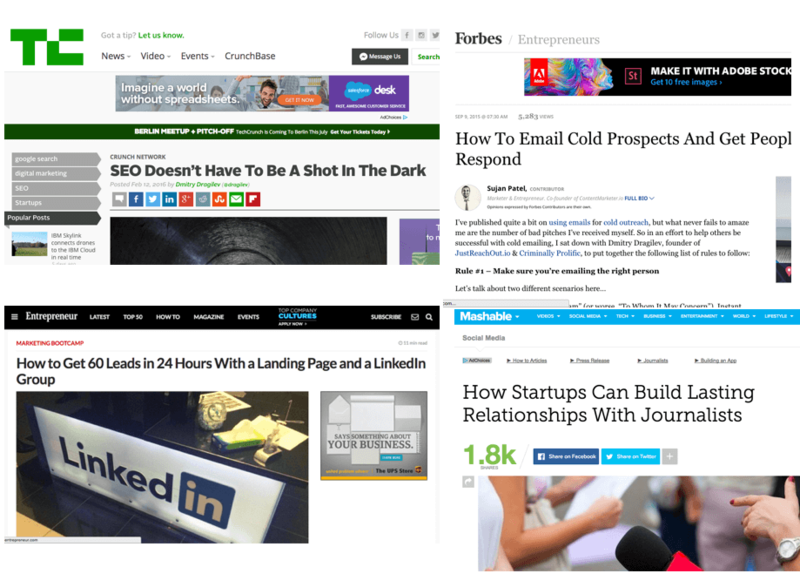 I now have published 1300+ articles and am a contributor to Entrepreneur, TechCrunch, FastCompany, Inc, HuffingtonPost and numerous other top publications. People are the gatekeepers of opportunities and anybody can talk to people if they have the right conversation starter. 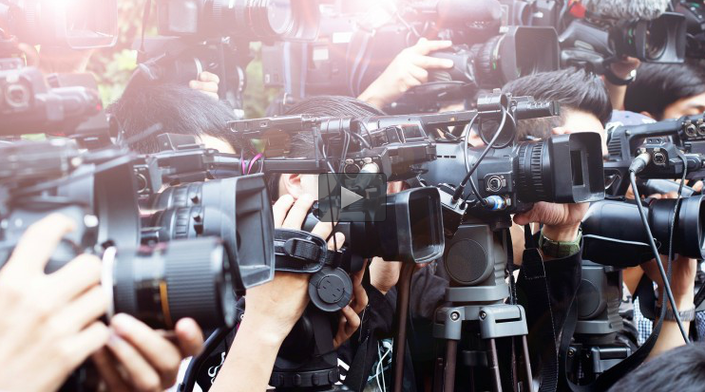 In this course I'll teach you this very process I used in the past to do my own PR and build lasting relationships with press. You will become proficient at reaching out and building lasting relationships with reporters, journalists, bloggers, press, and influencers. I've written about my process for doing PR for Mashable, for Noah Kagan's OKDork but in this course I want to go a step further and actually show you how I reach out to journalists, I recorded myself researching and reaching out to journalists. I'll also share all the email templates and behind the scenes tactics I've never shared publicly. Every day, I get a high when startups I teach become good at PR outreach and get responses from press wanting to write stories about what they do. It's empowering to watch startups never worry about hiring a PR firm and becoming crazy good at getting any influencer, journalist or executive to respond to their emails. I'm excited to share with you the very process I use to do PR on my own and a set of case studies of how I've applied it. 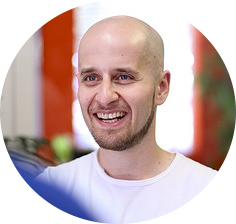 Dmitry Dragilev is the founder of JustReachOut.io - a simple way to pitch press without the help of PR firms. He recently help build a company named Polar from 0 to 40M+ pageviews per month in a matter of 2 years and got acquired by Google. He has published over 1300+ articles, is a regular contributor at TheNextWeb, Entrepreneur, HuffingtonPost, Inc, TechCrunch, FastCompany and others. In this course you'll learn how to reach out to journalists and influencers without any PR agencies.